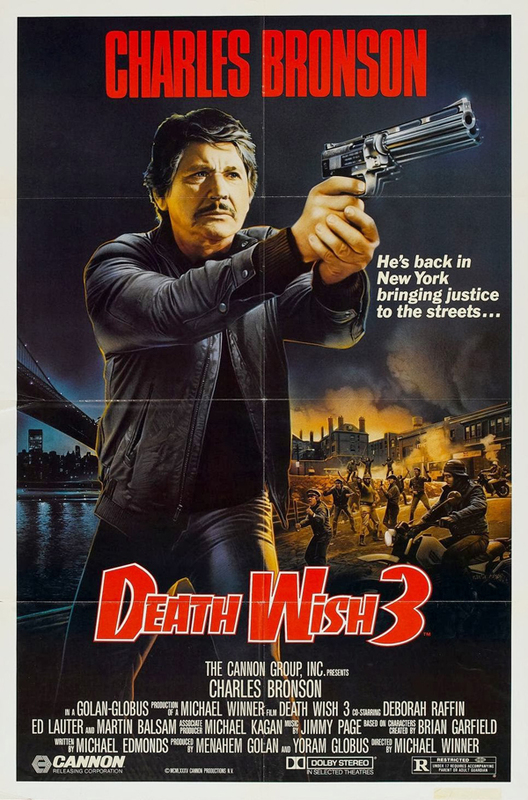 Charles Bronson is back as Paul Kersey, peaceful architect turned deadly vigilante in this third (and for my money) most entertaining installment in the Death Wish series produced by Cannon Films. 10 years have passed since Kersey was forced to leave New York City by Det. Frank Ochoa (Vincent Gardenia) for killing muggers. After receiving a phonecall from his old Army buddy Charlie to come for a visit, Kersey decides to finally head back to his hometown. Not long after arriving in the Big Apple, Kersey finds out Charlie is dead, only it’s not from natural causes, but because of a street gang. In a flash Kersey is arrested and falsely accused of being involved in Charlie’s death. While in jail he runs into none other than Manny Fraker (Gavin O’Herlihy) the extremely sadistic leader of the gang that killed Charlie. Fraker quickly shows the kind of influence he has by ordering some nearby thugs to take Kersey down in the cell, only Kersey is tougher than he looks and fights back. Fraker is a psychopath with extreme mood swings. He goes from calm and cool to seething with rage. Whoever sets him off is sure to get shived or worse. 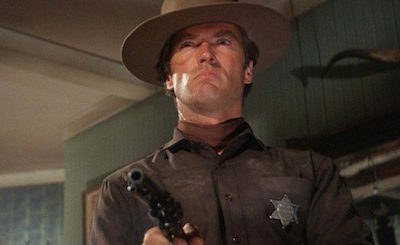 Luckily, Kersey finds out that Inspector Shriker (Ed Lauter) the police officer in charge of his case knows all about him and surprisingly is a fan of what he did. So, instead of throwing Kersey in prison for his past deeds (of which he was never convicted) Shriker gives him a free pass to go back to his crime fighting ways. Kersey agrees to the terms, which includes getting rid of as many criminals as possible, but also to throw intel Shriker’s way so the police can make legit busts. Once Kersey moves into the hood, he becomes a one man task force, taking on Fraker and his scummy thugs by using everything from homemade booby traps to elephant hunting guns. The neighborhood becomes an urban battlefield with Kersey and his geriatric pals on one side and Fraker and his goons on the other. The one liners and bullets spray all over. Although Death Wish 3 takes place in New York City, much of it was filmed in London, England. Look for an early appearance by Alex Winter (The Lost Boys, Bill and Ted’s Excellent Adventure) as one of the gang members. 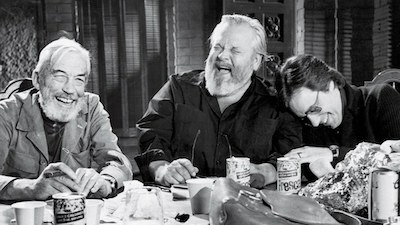 He is hilarious in this movie!